Not yet started, the weather has been really good here last weeks (very hot) so I didn;t spend too much time behind the pc, except for fighting with my tvheadend and oscam configuration for days after my tv provider changed some stuff. Now that the good weather is over, expect that I can start working on some of the requests here. (2016-09-15, 19:48)marcelveldt Wrote: [ -> ] Not yet started, the weather has been really good here last weeks (very hot) so I didn;t spend too much time behind the pc, except for fighting with my tvheadend and oscam configuration for days after my tv provider changed some stuff. Good to hear you still have a life . btw, Im migrating to EMBY, wasn't aware you were part of the project. Donating lifetime really soon for an awesome project you're building there mate. Intopic: Previous posts back, I posted a question/findings, relative to OMBD api refreshes/updates. Some people say it does so weekly...but it's not even monthly. Can you clarify that question? I am getting the Skin Helper Service error everytime I start Kodi and also when I try to install MIMIC or Titan skin. I have extracted the Log and the following is the block where is error is logged. 21:55:39 T:18446744072037477264 INFO: initializing python engine. 21:55:39 T:18446744072037477264 DEBUG: CPythonInvoker(27, /storage/emulated/0/Android/data/org.xbmc.kodi/files/.kodi/addons/script.skin.helper.service/plugin.py): the source file to load is "/storage/emulated/0/Android/data/org.xbmc.kodi/files/.kodi/addons/script.skin.helper.service/plugin.py"
Thx for the info. 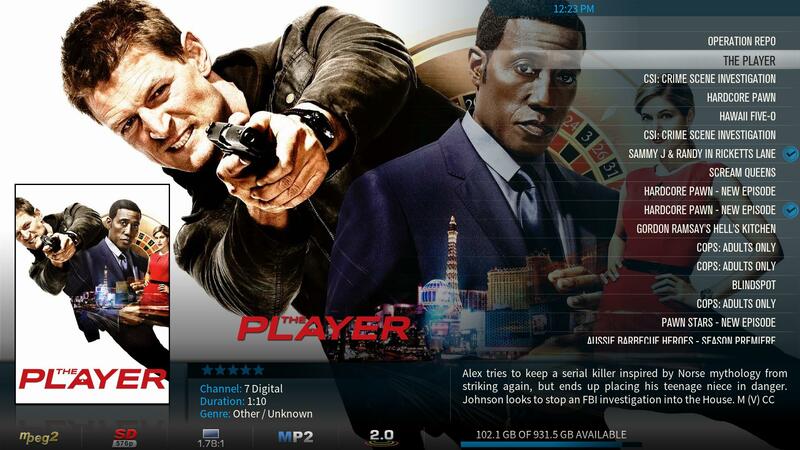 PVR info for EPG and Recordings are working. 1. Is there any code, that I can use to display Artwork in DialogFullscreenInfo? gives the correct image, but there is no way to check if it is getting something back, that can be used with <visible>-tags (IsEmpty). 2. Is there a setting to choose the language on tmbd for posters etc.? I use Kodi 16.1 ''Jarvis'' with the Confluence skin. I have install this Skin Helper Service Add-on! But how must I use this Add-on? When I will run/start the Add-on then it comes in a config menu for the settings. I want to see in my movie details view that the duration will show 2h 17m, now it shows me 137 minutes and is for me not nice to see it! I thought that this skin helper service was for ALL skins to use? I think it's more a case of it's a service that all skins CAN use if they wish to. In the case of using it to display the duration on terms of xxh xxm, it's something that Titan does use the script to do, but Confluence doesn't as is - so if you want to see the duration displayed in this way it's a case of switching to a skin which uses this script to achieve it, or modding your current skin to do so. Would like to use pvr Images (IMDB) also in VideoFullscreen.xml, is there currently a way to do it? If not, any plans to include it? did already try to use "Window(Home).Property(SkinHelper.PVR.Poster)" (via Settings enabled) which didnt work. Anyone got the problem too? Is there a place where i can find the older versions of the plugin?